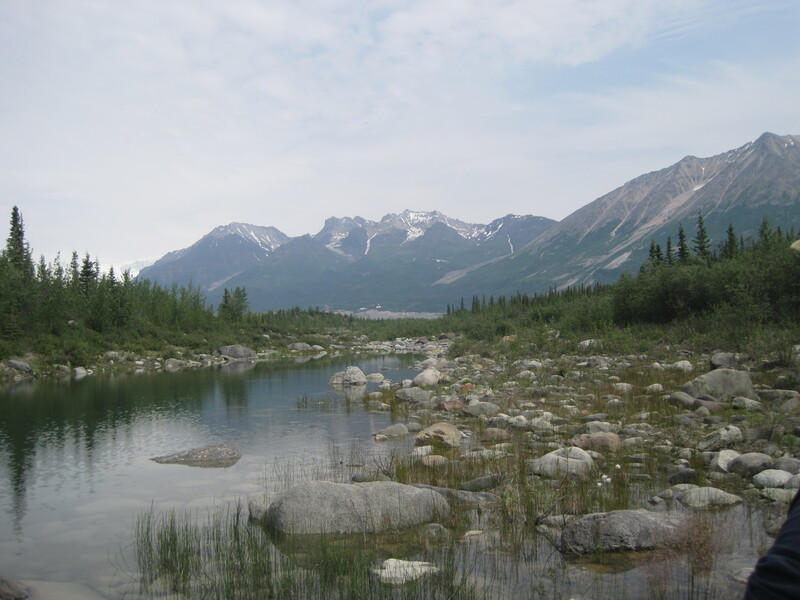 As my last blog post shows, I heart McCarthy, Alaska and the Wrangell Mountains Center (WMC). 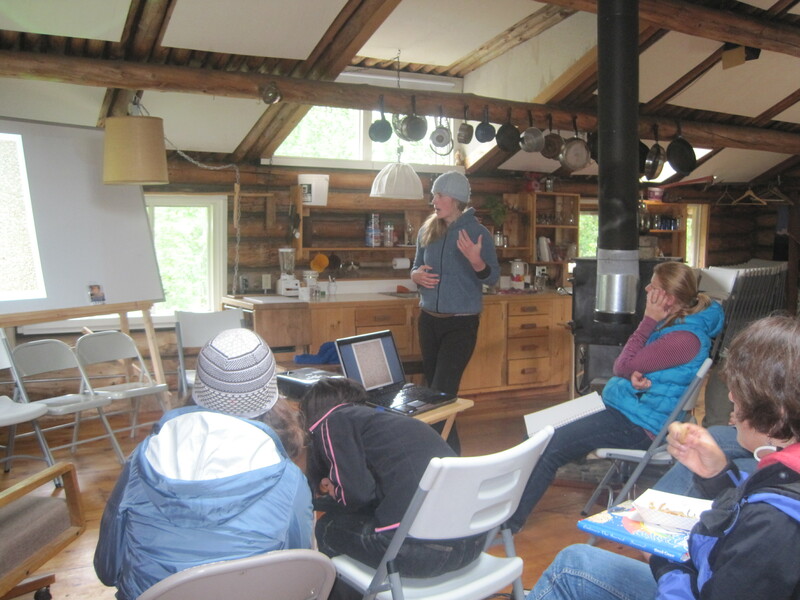 Since my first visit to the Wrangells to take a writing workshop with Nancy Cook at the the Wrangell Mountains Center, I have been a big supporter of this organization. Nine years ago, I joined the advisory board, and two years later I joined full board. The WMC is an arts, science, and environmental educational facility located in downtown McCarthy–unbelievably directly across the street from our cabin. I think the thing I love the most about this organization is its continued efforts to bring the arts and the sciences together to have meaningful discussions. For several years, I attended the writing workshop and studied with many great writers–Kathleen Dean Moore, Seth Kantner, Scott Russell Sanders, Frank Soos, Sandra Alcosser, Gretchen Legler, and many more. 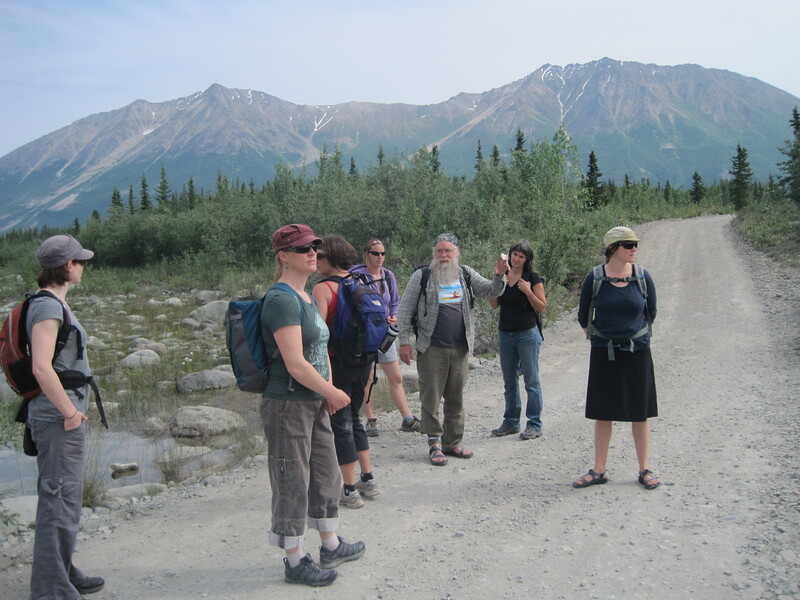 If you like writing in the wild this is a workshop you should seriously consider. This year, program director Nancy Cook is taking her students out on the water. It became a dream of mine to lead my own workshop at the WMC. Last year, that dream became a reality! I with the help of local resident, naturalist, and weaver Mark Vail lead nine students on a Creative Cloth adventure. This year’s Creative Cloth Workshop is scheduled for July 19th-24th. To entice all of you into signing up for this amazing week of quilting in the woods, I thought I would share some hi-lights from last summer’s workshop. Mark Vail lead students on nature walks around the area. 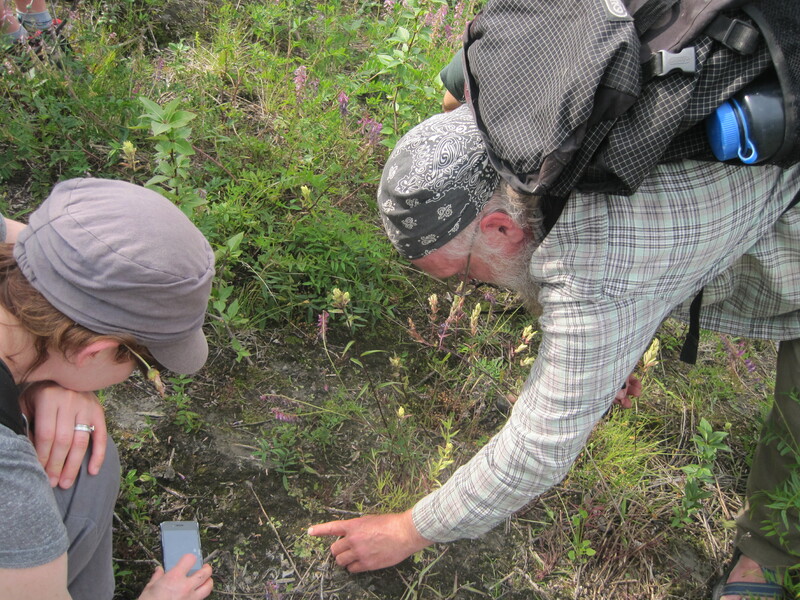 I encouraged the students to look closely at their natural environment. There are a lot of quilts hidding in nature! We are ready for a nature hike and talk given by local naturalist and weaver Mark Vail. Mark is an encyclopedia of information about all things McCarthy from cultural history to indigenous species–he kind knows it all. A closer look is always good! This is a larger view of the landscape where the close-up photos came from. These are some of my inspiration photos. If only I had the time to make a quilt inspired by each photo. I really need Mark right now, so that I might actually tell you the names of these things. Some of them I know, many of them I do not. During the week, local artists gave presentations on their work. There are many, many amazingly creative people who live in the McCarthy area. I find that hearing and seeing what another artist is doing even if they work in a different medium can be very informative and inspiring. Local artist Eleanor Jensen sharing her work. Each morning, I presented a lecture followed by a discussion. Lecture topics vary depending upon the students needs. Some of the topics covered last year were What is Craft?, Free Form Piecing, Abstract Landscape Quilts, and Color Theory According to Me. The discussions were great! 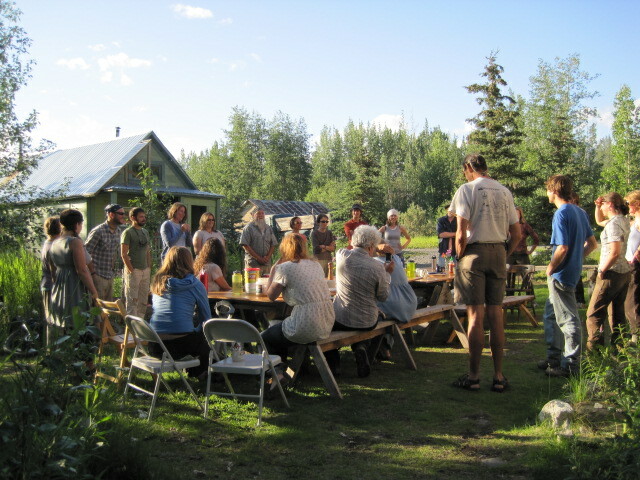 One of the many hi-lights of taking a class at the Wrangell Mountains Center is partaking in yummy food and conversation at the dinner table. This workhshop was no exception. WMC meals are primarily vegetarian and hi-light produce from our gardens as well as food provided by our local farmers and fishers. If the weather is right,we eat outside. This photo is from the Creative Cross Pollinations Workshop of 2010. I wrote about the quilt I made during that workshop in this blog post. After lunch, the students settle into hours of quilt making. My teaching style is to work the room–moving from student to student and then back to the beginning again. This is the workshop where I learned that just because a student is silent doesn’t mean she doesn’t need your help! I should also say, that several students brought their own sewing machines, but many of them didn’t. I have about five old Berninas for students to use. All fabric, batting, thread, and notions are provided for use during the class for a small supply fee. It was really magical to see the Old Hardware Store transformed into a sweat shop! I was amazed at how focused everyone was. We studied piecing and quilting. The students worked every night until I shut the doors at around ten in the evening. There was lots and lots of crazy good work that came out of this workshop. Looking at these great photos makes me VERY excited for this year’s workshop. The cutting stations were on the back wall where Mark is working. Here is the long of work space. This year, I hope to have the workshop space in Porphyry Place which is a new addition to the WMC’s campus. Along with quilting, local culture, good food, and healthy hikes into the woods, there are community events going on during the week. Like open mic night at the bar, where I temporary lost my camera which means there are no photos of the final event aka the BIG TA DA. Not having my camera at the end of this workshop is my one regret for the week. On the final evening, students cleaned up their stitching areas, donned festive garb, and presented their work to a small gathering of family, friends, and staff. It was absolutely amazing to see what my students made in just a week of dedicated time. And that really sums it up. My goal for this workshop is to give my students the space and instruction they need to be creative–and then I get to watch them grow. It is such a beautiful experience. And it if my hope that at the end of the week, when everyone has to go back to their real lives–they can take that spark, that desire to be a creative person with them. What do you say? Will you sign up for this adventure? It’ll be a good one. 18 Mar	This entry was published on March 18, 2013 at 12:25 PM. 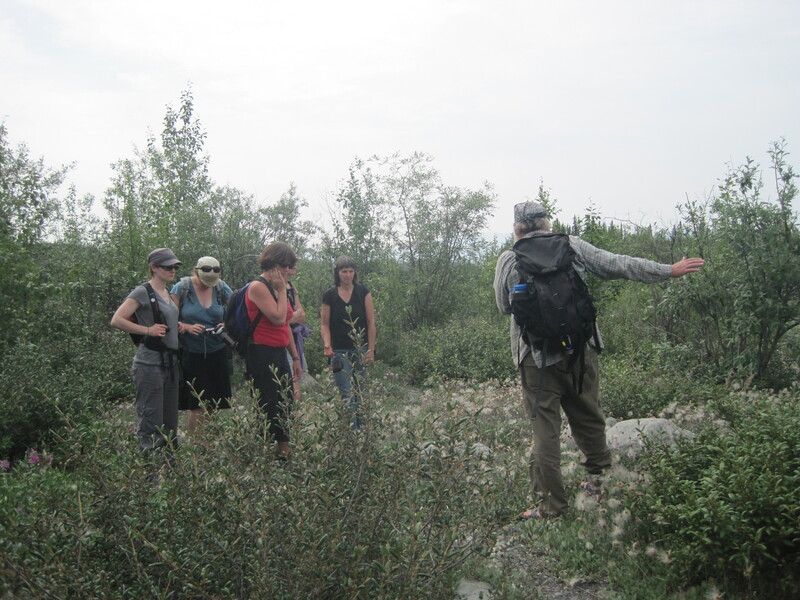 It’s filed under About Teaching and tagged Creative Cloth, Wrangell Mountains Center. Bookmark the permalink. Follow any comments here with the RSS feed for this post. Here’s a link to more photos from the workshop. Thought I sent it to you last fall–maybe not. Thank you Petra! I used the dryas photo because of you.